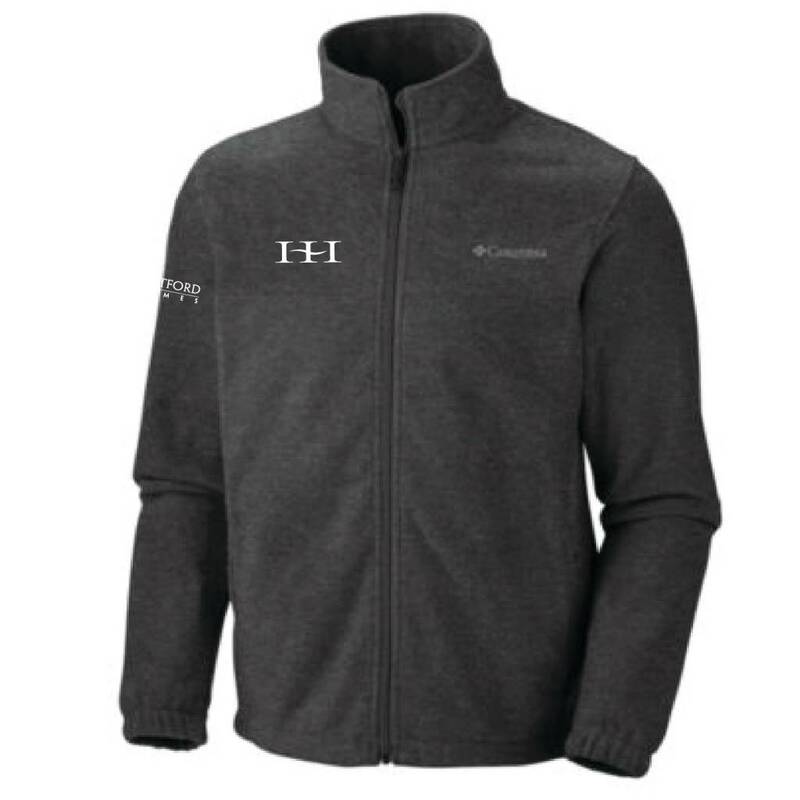 Fleece jacket favorite now available in fashionable color block combinations and in sizes up to 6XL. 100% polyester MTR (Maximum Thermal Retention) fleece. 7.4 oz. Stand collar. Elasticized cuff/set in sleeves. Full zip front. Chest yoke and zip close side pockets. Adjustable hem with elastic and toggle. Embroidered Columbia logo on left chest in Columbia Grey.